From the beginning of European settlement to the mid 1900s, the watershed has been farmed with small livestock herds and large areas of land cultivated for barley, wheat, vegetables, and potatoes. Poultry and egg production was an important part of the local economy from the 1930s through World War II. Land use in the watershed is almost exclusively agricultural; 90% of the watershed is used for livestock grazing, as well as some dairies. In 1990, Stemple Creek was listed on the federal Environmental Protection Agency’s 303(d) list as an impaired waterbody due to excessive nutrients and sediment. In 1997, the North Coast Regional Water Quality Control Board adopted a Total Maximum Daily Load (TMDL) and Attainment Strategy for nutrients and sediment in the. The TMDL has been adopted into the Basin Plan for the North Coast. The RCD’s 1994 Enhancement Plan for the watershed indicates that over 80% of the accelerated erosion in the watershed comes from the lower watershed with large gully systems as the primary source. Gully stabilization projects have been implemented by local landowners with support from the RCDs and the Natural Resource Conservation Service. The land draining into Stemple Creek is largely grassland. Willows have been re-established along parts of the mainstem and tributary streams; coastal oak woodland can still be found along some of the higher tributaries. Eucalyptus, planted in rows for windbreaks and fuel, is now one of the most common trees. Special-status species in the watershed include California freshwater shrimp, northwestern pond turtle, tidewater goby, Myrtle’s silverspot butterfly, and California red-legged frog. Stemple Creek was once a marginal Coho salmon and steelhead trout stream. Farm ponds, especially those with shallow edges, now provide some of the best remaining habitat for waterfowl, northwestern pond turtles, and other aquatic species. 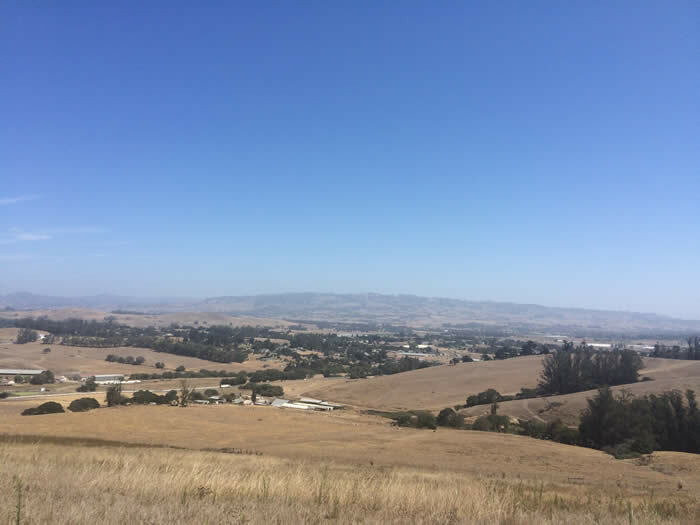 The RCD has worked with local agricultural landowners, often in partnership with the Marin RCD and NRCS, to improve water quality and maintain working landscapes in the watershed and is focuses on pursuing funding for water quality improvement on dairies in the watershed. The RCD was awarded funding in 2012 through a partnership with multiple north coast RCD’s, the UC Cooperative Extension, and the Western United Dairymen to assist North Coast dairies with compliance with the upcoming North Coast Dairy Waiver. 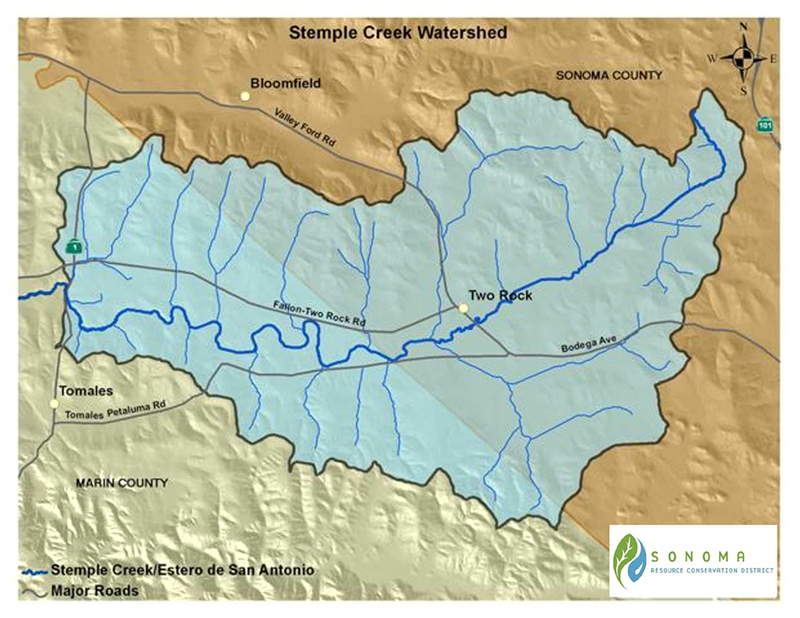 For more information about the Stemple Creek Watershed, please contact Kari Wester at 707.569.1448 ext 101 or kwester@sonomarcd.org.